BitDefender, a provider of Internet Security software has introduced a new antivirus defence package designed specifically for PC gamers. Launched earlier this year in the USA, this go-faster pack from BitDefender goes on sale in the UK at a suggested retail price of £12.95 a copy. This is a single license purchase including on-line virus updates for 12 months. Distribution in the UK and Ireland will be through channel partner, Focus Multimedia, with an on-going roll-out to national and independent retail outlets during September and October. “We’re delighted to partner with BitDefender to make this innovative, value-for-money software available to PC gamers everywhere,” adds Johnson. BitDefender has identified the need for a gaming solution after receiving queries from aficionados who wanted to customise their security configuration. “Speed is a matter of life or (virtual) death for these guys, and since most conventional virus protection software can slow down processing performance, many players turn it off and play ‘naked’, explains BitDefender’s chief technical officer, Bogdan Dumitru. 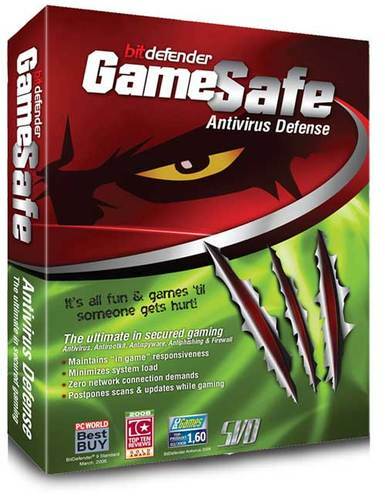 BitDefender GameSafe is a cut down security pack which defends the user’s PC with minimal impact on processing power, memory and virtual memory, allowing players to maintain 'in-game' responsiveness and eliminating any unscheduled interruptions. When activated, GameSafe minimises processor time and memory consumption; postpones automatic updates and scans; eliminates all alerts and pop-ups; sets the scanning level to 'permissive,' so only the most important files are scanned. In addition, the GameSafe firewall protects users' Wi-Fi connection from unauthorised access. A high resolution image of the packshot is available on request. This press release was distributed by ResponseSource Press Release Wire on behalf of MJO Associates in the following categories: Children & Teenagers, Men's Interest, Entertainment & Arts, Leisure & Hobbies, Consumer Technology, Personal Finance, Computing & Telecoms, for more information visit https://pressreleasewire.responsesource.com/about.